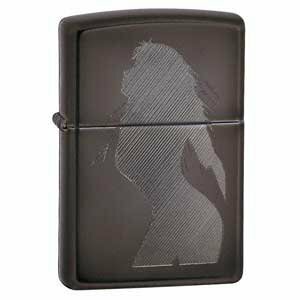 The Zippo Seductive silhouette design lighter uses auto engrave imprint method to apply design and features a black ice finish. The all metal construction has a windproof design to work virtually anywhere. Refillable with Zippo premium lighter fluid sold separately. (Lighter comes unfilled). Zippo Lighter Seductive Silhouette Black Ice / Windproof Lighter #20762 From Thailand. 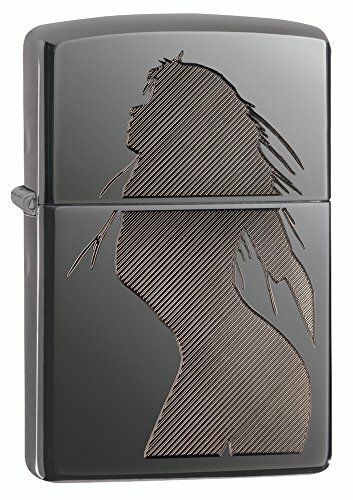 ZIPPO Seductive Silhouette Black Ice Zippo Lighter ZI # 20762 Durable Product.